For those who are addicted to collecting wines a walk-in wine cellar is a practical and spectacular solution for storing as well as showcasing their prized bottles to friends and guests. These luxury wine cellars are equipped with top- notch cooling systems and maintain proper humidity for your wines. These wine rooms are usually made from easy-to-assemble, long-lasting wooden panels. The whole unit can be assembled inside your home so you don’t have to build an extension to your house. When moving you simply disassemble it and take it with you to your new place. Now if you really want to impress your wine-geek friends and guests you can have a wine tasting area with counters and tables included. Locks, lightning and wine racks are standard parts of walk-in wine cellar units however you can have most elements customized. If you have your own preferences you can have the whole wine cellar custom-designed and -built instead of buying and assembling a unit from prefabricated elements. When selecting a rack system note that individual racking is preferred over bulk storage (several bottles stacked on top of each other). Single-racked bottles are easily accesible and there’s less chance of bottle breaks or scratches. How many bottles of wine do you own currently? Try to assess how many bottles will you add to your collection over the years and what’s your consumption rate? Do you want to have a wine room simply for storage or do you wish to use it as a showroom to introduce your wine collection to guests? How much space do you have within your house for your personal wine cellar? The Vintage Series Walk-in Wine Cellars are equipped with Breezaire cooling units. These stylish wine rooms have natural oak exteriors and mahogany interiors. For a more striking decor you can add glass doors. All models have 3 year limited factory warranty on the cooling unit and the cabinet. Other very good walk-in wine cellar brands are Cavispace and Espace made by French manufacturers for more than 20 years. These walk-in wine cellars are assembled of sturdy aluminium-backed polystyrene panels. The Cavispace and Espace Wine room models can accommodate 990, 2040, 3090 or 4140 Bordeaux-sized wine bottles on sliding shelves. Each model comes with climate control units that’ll be placed outside the cellar so you can monitor temperature and humidity levels inside the room. 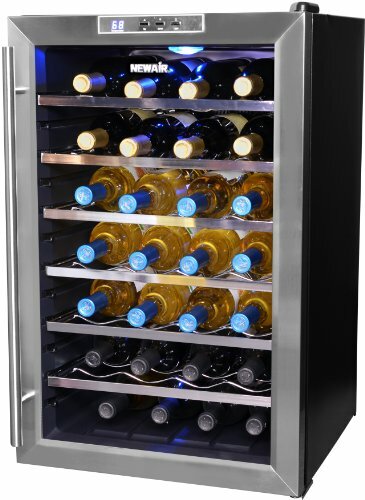 The General Electric Monogram walk-in wine vault has container feeling with its cold, stainless steel outside decor. The inetrior looks much better with the redwood racking. For those who have a huge collection of wine the inventory managment software using a barcode scanner and a 15” touch-screen might be useful because it allows you to search by producer, country, vintage, price etc. You can also store your wine tasting notes in the system. The GE Monogram ZWVT1000SR and the ZWVS1000SR walk-in wine cellars can hold more than 1000 bottles and they cost around 35,000 $. TIP: another option to have your own wine room in your home is building a custom wine cellar. 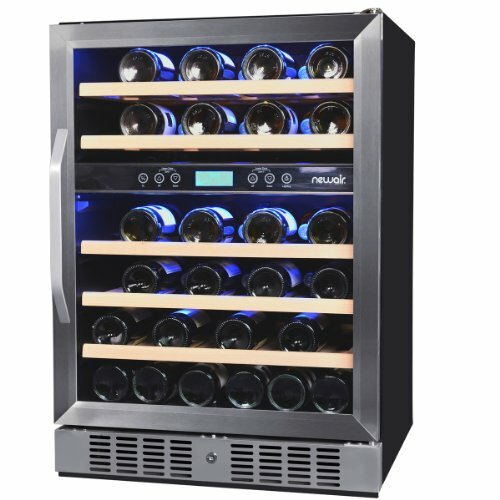 Wine Cellar Cooling Units – overview of wine cellar cooling systems. 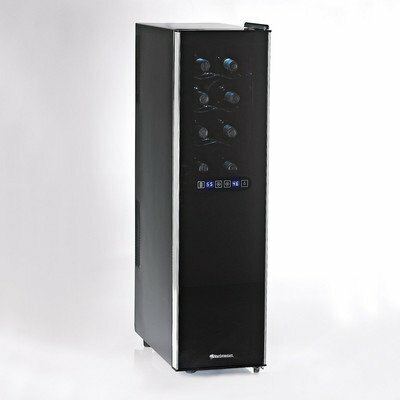 High-End wine coolers – selection of luxury wine storage appliances. 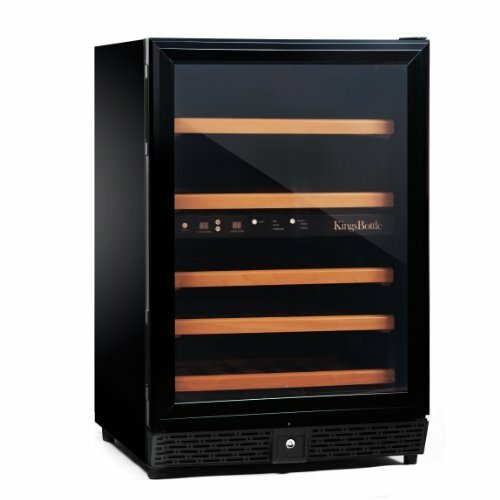 Le Cache Wine Cabinets – elegant furniture-like wine vaults with advanced cooling units. 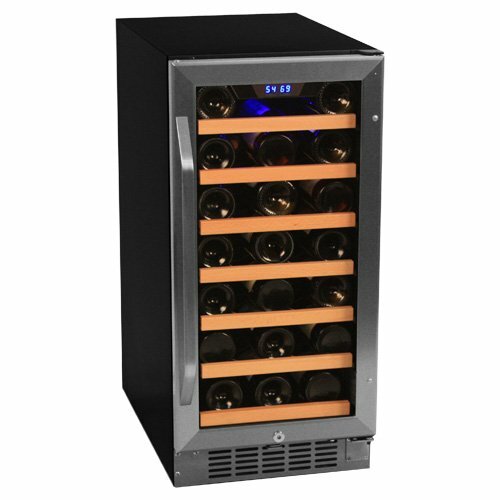 Best Wine Coolers – description of some selected top-rated electric wine coolers. Best Large Wine Coolers – recommended large capacity wine bottle cooelrs.